The e-liquid Almond flavour is one of the most unique blends around. It carries a tinge of sweetness and a creamy taste in itself to tempt your taste buds with its distinct, sensual and aromatic e-juice. 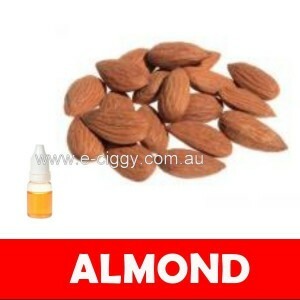 The almond nut e-liquids are uniquely made. For this reason, they carry a subtleness to them. The nutty sweetness of the almond e-juice is unmatched by any other e-juice. When switching from tobacco to e-ciggies, a user can choose to either purchase pre-filled cartridges or to refill their own cartridges with e-liquid. Refilling cartridges instead of disposing of them is more economical but is necessary to purchase a bottle of e-liquid. There are two popular ways of refilling cartridges; one is known as 'topping-off' and the other is known as 'refilling'. In a nutshell, 'topping-off' simply means adding a few drops of e-liquid to a cartridge that's running low and refilling simply means adding e-liquid to an empty or new cartridge using the syringe method. When does a cartridge need refilling? A cartridge needs refilling there is a noticeable burning smell on inhaling or less vapour than usual. It is advised to not refill a cartridge more than 5 times, as after this the polyester will start to damage the atomizer. 1. Separate the cartridge from the atomiser. Some e-cigarettes have 2 cartridges which include an outside cartridge and an inside one containing the filler. It is necessary to separate the inside cartridge; to do this use the end of a paperclip to push into the hole on the side of the mouthpiece. For single piece cartridges make sure the filler is sitting at the top of the cartridge. 2. Drop a few drops of e-liquid onto the filler using a dropper. If the liquid starts to collect at the top of the cartridge stop straight away as overfilling can damage the atomiser. Ensure the polyester filler is saturated with e-juice, it may be necessary to add more. 3. Place the polyester filler back into the cartridge. For the 2 piece cartridge design, use the paperclip to push the inner cartridge back down into the mouthpiece. 4. Push the atomiser in place and then turn it so that the LED is pointing down. 5. Wait 5 seconds for the e-liquid to move into the atomiser and the process is then complete. 1. Separate the cartridge from the atomiser. Some have 2 cartridges which include an outside cartridge and an inside one containing the filler. It is necessary to separate the inside cartridge; to do this use the end of a paperclip to push into the hole on the side of the mouthpiece. For single piece cartridges make sure the filler is sitting at the top of the cartridge. 2. Draw the e-juice into a syringe straight from the bottle and then put the syringe needle into the centre of the cartridge filler until it reaches the bottom. 3. Gently depress the plunger and carefully move the needle around inside the cartridge to ensure the polyester filler is fully saturated. If the liquid starts to collect at the top of the cartridge stop straight away as overfilling can damage the atomiser. 4. When the cartridge is full, push the atomiser into place and the process is complete. Comment : i've been using the liquid for 1 year, its great juice! Rating(s) and review(s) : Almond - Reviewed by : Andrea J - Rating 4 / 5 - i've been using the liquid for 1 year, its great juice!